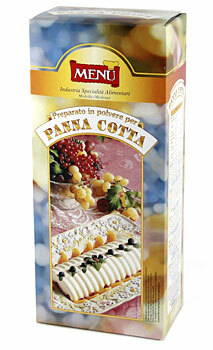 An Italian cooked cream with a remarkably fresh cream flavor. Menu's Panna Cotta is silky and smooth. Very simple to prepare, you can be assured it will set and have the perfect creamy texture consistently. Application: Flavor with key lime juice, salted caramel, green tea, coffee or chocolate. Great for layering different flavors.